If you had money, influence, and the ability and desire to affect students’ lives, what would you do? This week we got two starkly different examples of how people in that exact situation are using their powers. On one hand, LeBron James opened a school aimed at supporting at-risk youth. And on the other hand, U.S. Education Secretary Betsy DeVos relaxed protections for students in debt who were scammed by for-profit colleges. 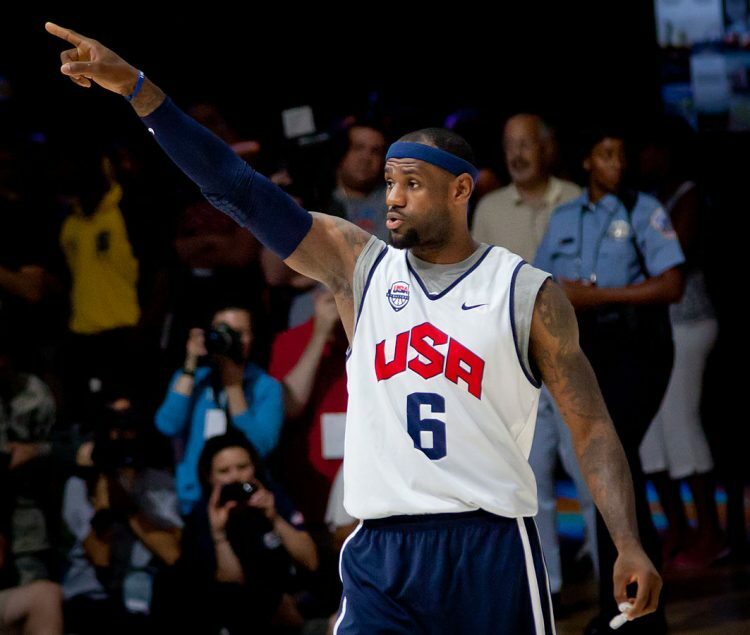 LeBron James’ venture into the education sector has been cause for celebration. James opened his “I Promise School” in his hometown of Akron, Ohio, for 240 third and fourth graders on Monday, with plans to expand each year until it houses students in grades 1-8 by 2022. The Akron public school was created with at-risk youth in mind and will be made up of students who are a few reading levels behind, according to USA Today. Celebrities, political leaders, and just about anyone with a social media account haven’t been able to stop gushing over everything the school will offer its students and how it will change their lives. The basketball star’s achievement has shown people that he could be capable of being even more — and even led some to speculate whether he has the time in his schedule to serve as the new Secretary of Education. Lebron James has done more for education than Betsy DeVos, more for charity than Donald Trump, and more for inner cities than Ben Carson. Maybe Washington should shut up and dribble. As a teacher, I would rather have Lebron as my Secretary of Education over Betsy Devos. Meanwhile, while LeBron was preparing for the first day at his new school, U.S. Secretary of Education Betsy DeVos published new rules to the Borrower Defense Program, a government program from the Obama era that helps students who were misled or deceived about their loans by their schools get relief from their student loans. $13 billion is getting cut from the Department of Education’s spending — most of which went to debt relief for defrauded students, according to ABC News. The new rules make it harder for students to get help with debts they incurred at scammy for-profit schools. Defrauded students will now have to show “that schools had the intent to harm them, with misleading advertising, a reckless disregard for the truth or financial harm” to qualify to receive debt relief, according to NPR. “In ways big and small, the new version makes it harder for students to win debt forgiveness,” the Washington Post says. The Obama administration had cracked down on “for-profit colleges that critics say prey on vulnerable students,” and the new Trump-era rules reverse that effort, according to the Post. So why did the Dept. of Education slide those protections back? Mary Clare Amselem, a policy analyst from the conservative Heritage Foundation, told NPR that the previous regulations were too broad. “Basically, any students could raise their hand and qualify for free money,” Amselem said. But Ashley Harrington, a lawyer at the Center for Responsible Lending who was involved in the negotiations for the new rules, said the new regulations put a greater burden on students and lessen the pressure on for-profit schools. Joel Ferguson, 40, from Kennewick, Washington, has dealt with tricky student loan debt firsthand. In 2010, he began taking IT courses offered by the University of Phoenix after seeing ads encouraging job seekers to sign up for courses geared toward career success. But he says he has seen “zero success in obtaining professional employment in my education field,” he told Youth Radio in an interview. He believes what the Trump administration and the Dept. of Education have been introducing borders on criminal. Ferguson says he’s been wrestling with how to deal with his debt. “As recently as this February, I pondered how I could resolve this student loan debt, which was made worse by Trump through an executive order to legitimize the sale of my defaulted student loans to third-party lenders at the same rate as defaulted credit cards,” he says. The proposal for the new regulations hasn’t actually gone into effect yet — it will open for public comment and would apply to loans given out on or after July 1, 2019. Some Twitter users disagree with DeVos and voiced their concerns on how the regulations would impact students. Thousands of students were defrauded by for-profit colleges. Betsy Devos announced cutting $13 billion in aid for defrauded students. Betsy Devos has stock in some of those for-profit colleges & many in her cabinet worked for them. She needs to be gone – she has no experience in education and continues to hurt our students in every situation. She should be kicked out before she does any more damage. Another one of those “best people” tRump has surrounded himself with. Adios! In an unsurprising but horrific move, Betsy DeVos is trying to roll back loan forgiveness rules that help defrauded students resolve debts and move on w/ their lives. Secretary DeVos continues to put profits ahead of our students' educations. So, some are, yes, calling for James to replace DeVos as Secretary of Education. When can we replace Betsy Devos with Lebron James? Can we get rid of @BetsyDeVosED and get @KingJames in office for secretary of ed please?